Historic memorabilia from one of the longest-running businesses in Leeds city centre will go on display at Abbey House Museum this weekend. Zermansky’s Pawnbrokers was a fixture on North Street in Leeds from the 1920s to its closure in 1981, run as a family business by Mark Zermansky before being taken over by his son Cyril after he died in 1964. 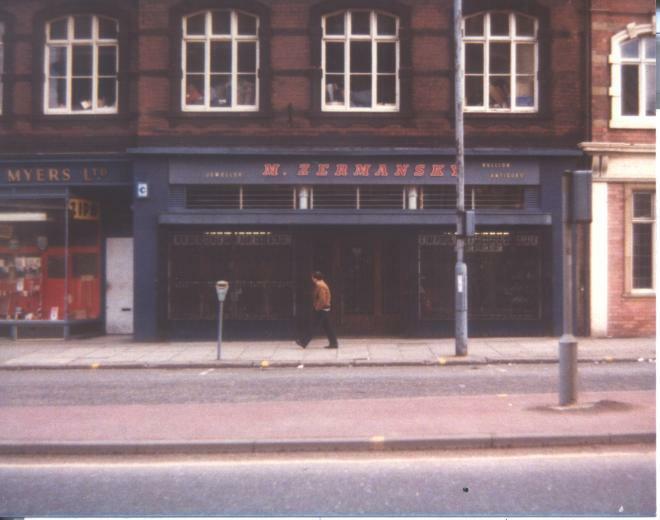 The pawnbroking element of the business ended in 1974 when the Consumer Credit Act increased the regulations and paperwork in the industry, and Zermansky’s went on to close seven years later. Now the family of the late Cyril and Pearl Manning have donated several items from the business to be added to the Victorian recreation streets at the Leeds City Council-managed visitor attraction in Kirkstall, including the pawnbroker’s sign and three golden balls which hung off it. Media are invited to attend a ceremony to mark the items from Zermansky's Pawnbrokers going on display at Abbey House Museum at 4pm on Sunday 25 November. Members of the Zermansky family will be attending the event. Abbey House Museum is located off Abbey Walk in Kirkstall, LS5 3EH. As well as the sign, the family have also donated a range of other personal and business items relating to the Zermansky family to be put in display, such as the original weighing scales from the shop.